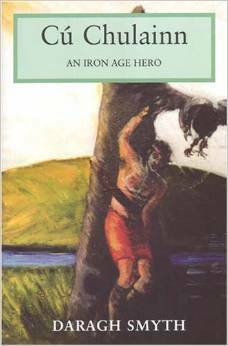 The book tells the life story of an Iron Age hero, providing a history of Iron Age Ulster and its customs. Categories: Pre 18th Century History, Literature and Criticism. Cú Chulainn was the greatest hero of a heroic age centered on Ulster and North Leinster. He is in the European tradition of heroes, from Ajax to Achilles to King Arthur. He was a demi-god, having both a solar deity, Lug, and Conchobar mac Nessa, King of Ulster, for his father. All that is known of him comes from a collection of ancient writings that fuse history, myth and biography. Working from his own translations from the Old Irish and from edited manuscript sources, Daragh Smyth has crafted a fascinating and scholarly account of the life of Cu Chulainn and of aspects of social life in Ulster during the Iron Age. The book is divided into eight chapters; each chapter is taken from a printed version of a medieval manuscript and translated into English. It follows Cu Chulainn from his birth to his initiation in arms, his various romances in Ireland and Scotland, and his marriage to Emer at Emain Macha. Daragh Smyth also wrote A Guide to Irish Mythology.